La Maison Jolie: Get the French Country Kitchen Look! Get the French Country Kitchen Look! I'm so excited today…Part 1 or rather la première partie of my new French Country range tags are ready for release! These tags are available via my Etsy shoppe and are shipping worldwide! The story…adding a couple of spoons of SALT to my tea instead of sugar!! 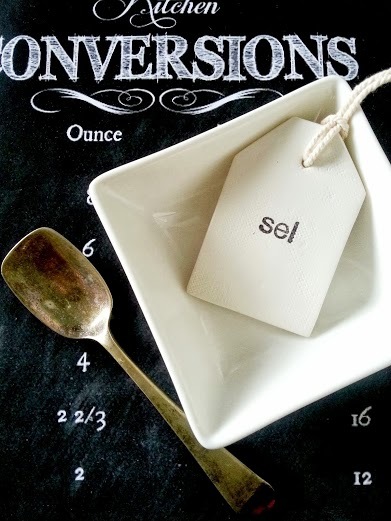 !….In my defence I was half asleep and I had completely forgotten that I had changed the jars the night before, heavy duty spring cleaning the kitchen and all that jazz….Have you ever tried salt with your tea…ever?….DON'T . EVER! 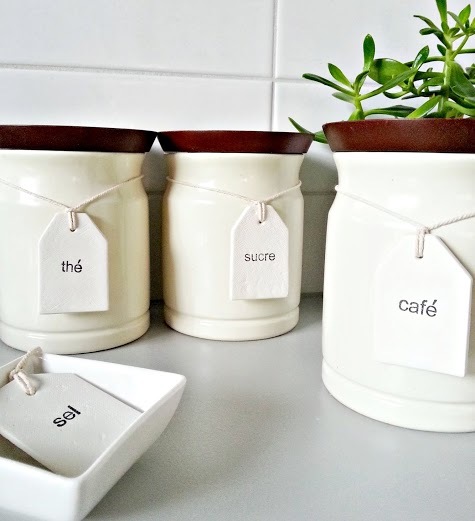 So I made these tags to help me organise my kitchen…and hopefully I will never again splutter over salty tea! Yuck!!! 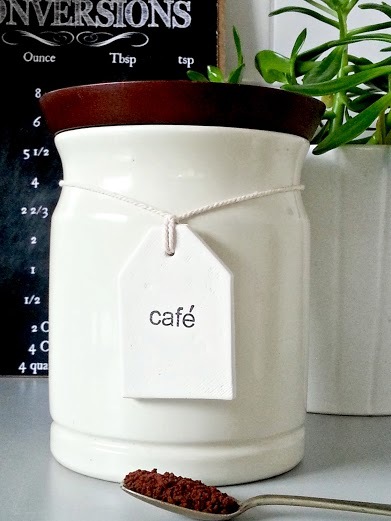 So I made a few more and put tags on every canister in the kitchen and they look so pretty! They would look so cute on mason jars! These tags would make the perfect housewarming gift or for Mum for Christmas! Hmmmm…there's a thought, I might make a set for my Mum now. 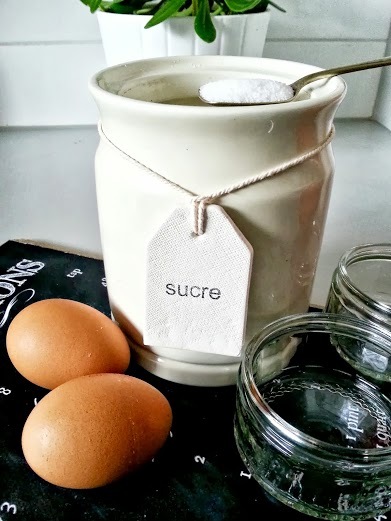 Thé (Tea), Café (Coffee), Sucre (Sugar) and Sel (Salt)….I love the Frenchy names! I feel like I'm in Paris every time I glance at them….! 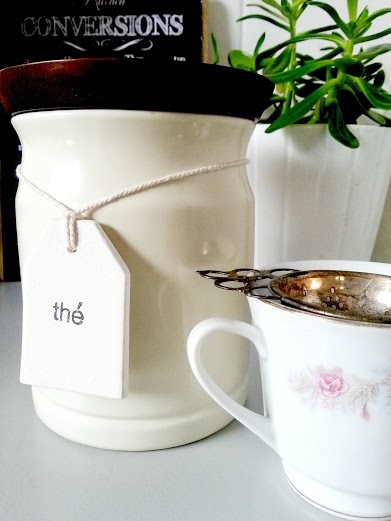 You can't go wrong with classy white canister tags for a French country look! If you want your own set…here's the link to my Etsy shoppe. 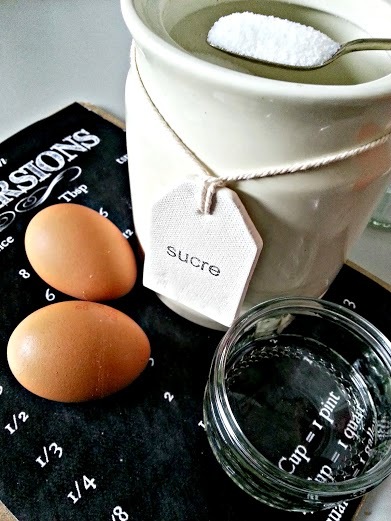 Choose from Thé (Tea), Café (Coffee), Sucre (Sugar) and Sel (Salt) or one of each for a complete kitchen set. I haven't forgotten, I will be back later this week with the reveal of the display cabinet makeover. If you missed the back story, here it is. Safe to say I won't be undertaking such a big project anytime soon….or will I? These are adorable. When I read your explanation for the tags, at first I thought it was some intended way for you to cut back on sugar - using salt in its place! Of course, that is just weird and it was actually just a mistake, as you explained.